Anyone who has lived in Cleveland for a while knows that a certain rivalry exists between its east and west sides, separated as they are by the Cuyahoga River. What most people don't realize is just how far back in history the rivalry goes, or that in the 1830s the building of a new bridge over the river sparked violence between residents of Cleveland (east) and Ohio City (west). 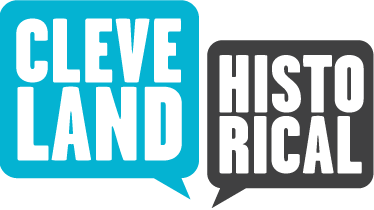 By the 1830s, Ohio City - a separate city until it was annexed by Cleveland in the 1850s - was falling behind its more prosperous neighbor on the east bank of the Cuyahoga. When a Cleveland land developer constructed a bridge on Columbus Street in the Flats, Ohio City residents were outraged. The new bridge took a southerly route that bypassed Ohio City's main commercial district on what is now West 25th Street. Given that this new bridge was far superior to the floating bridge further north that had previously been the only span connecting the two cities, Ohio City rightfully feared a drastic decline in traffic and goods moving through their city. Incensed, they decided to boycott the bridge. Cleveland retaliated by removing their half of the old floating bridge. 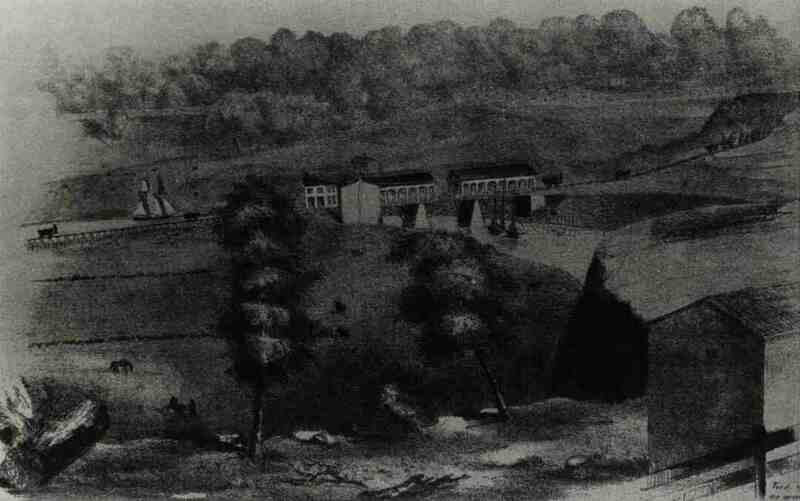 On October 31, 1836, an angry mob of Ohio City residents marched to the Columbus Street Bridge intending to destroy it. Cleveland's mayor and a number of Cleveland residents met them and fighting broke out, leaving three men seriously injured before the County Sheriff put a stop to the violence. The courts eventually resolved the issue, allowing for both bridges to be opened to traffic. 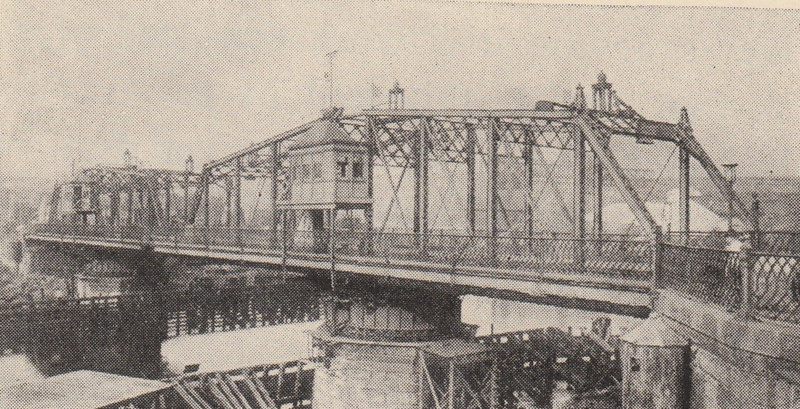 The old Columbus Street bridge was replaced by an iron bridge in 1870. 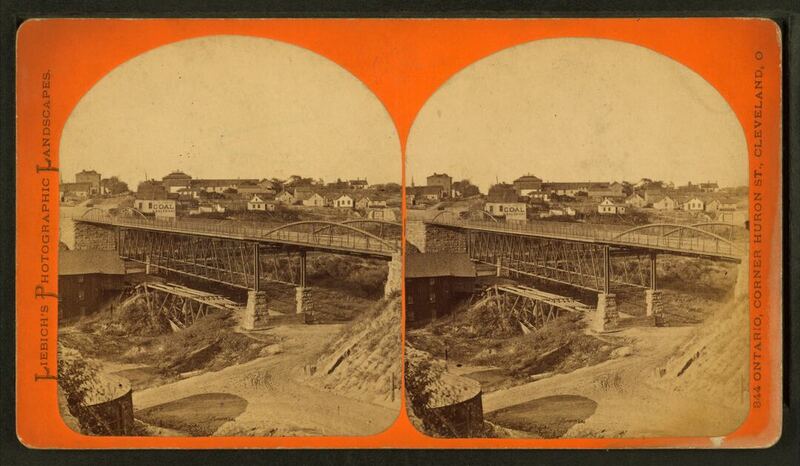 After that, a double swing bridge - then the world's first - took that bridge's place. 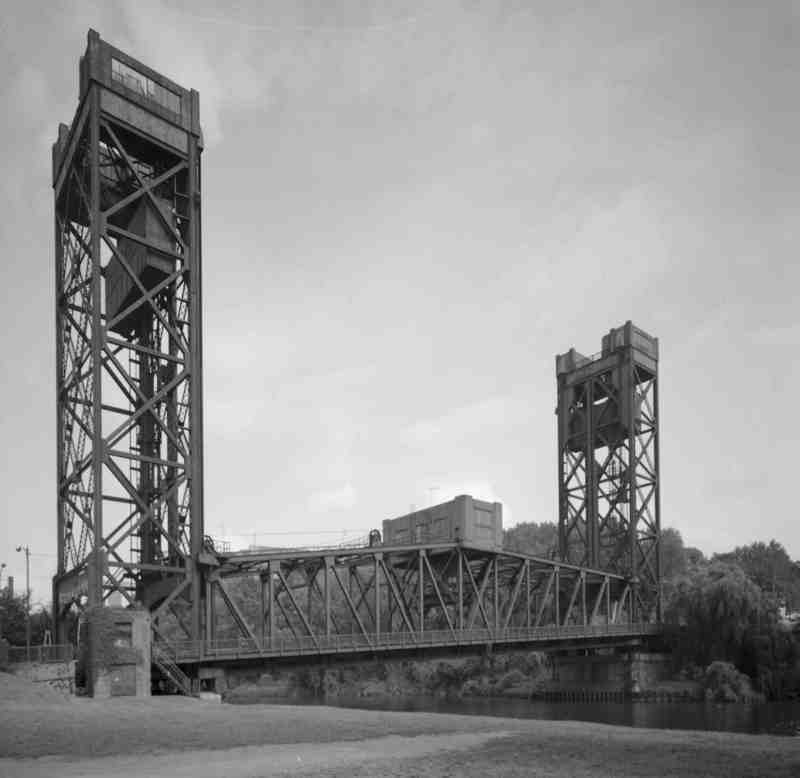 Finally, in 1940, WPA workers installed a steel lift bridge on Columbus Road which still stands. Currently, however, there are plans to replace this bridge as well. Speaking to your typical Clevelander it becomes clear that while the original Columbus Street Bridge may be long gone, the rivalry between the east and west sides of Cleveland remains firmly in place. But perhaps a bit less violently. 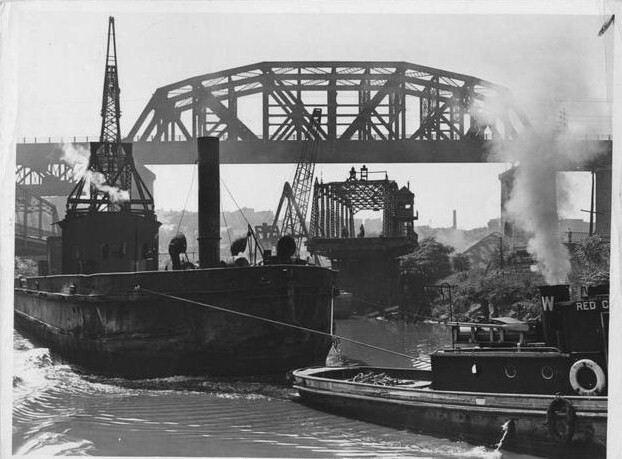 Tugboat near Columbus Road Bridge, 1938: A tugboat navigates through the Columbus Road double swing bridge. Image courtesy of Cleveland State University Library Division of Special Collections. ~ Source: Cleveland State University Library Division of Special Collections. Cleveland Press Collection. Michael Rotman, “Columbus Street Bridge,” Cleveland Historical, accessed April 23, 2019, https://clevelandhistorical.org/items/show/74. Published on Sep 24, 2010. Last updated on Apr 18, 2017.